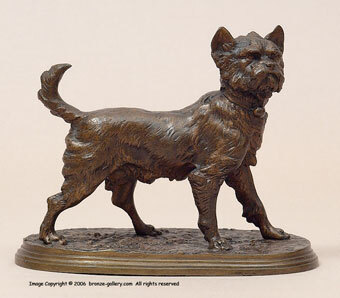 This is a single standing Brussels Griffon dog. 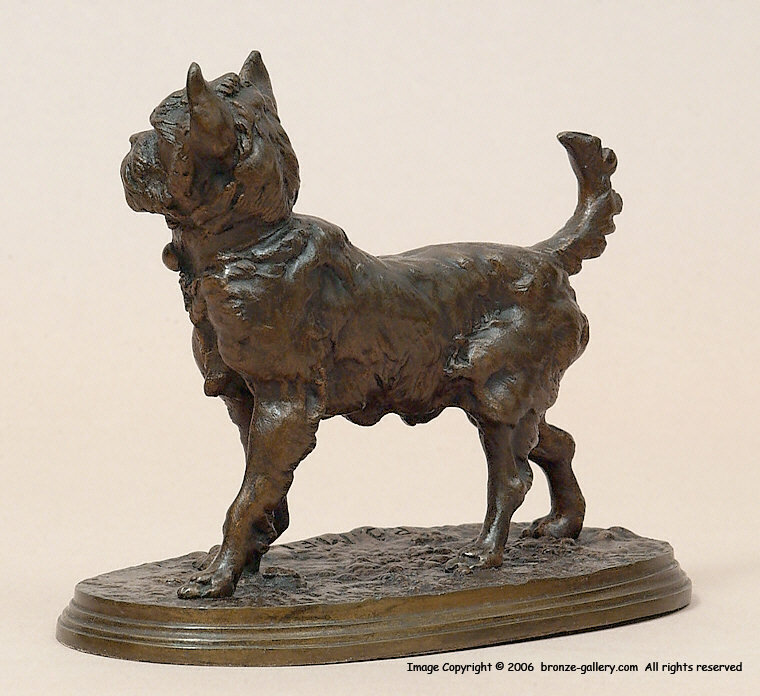 A rare model, it is wonderfully modeled and highly detailed bronze sculpture with a rich copper brown patina which Mene used on some of his bronzes. Pierre Jules Mene was a master at portraying dogs. With this portrait of a Griffon he captures the perky nature of this friendly breed of dog who is standing alertly looking at something that has caught his attention.